If they do a deal like that, we would be dealing with the European Union instead of dealing with the U.K., so it will probably kill the deal,” Trump said in an interview in the Sun newspaper published Friday. He suggested that the prime minister’s proposal was a betrayal of those who voted to leave the European Union and said that Boris Johnson would make a great prime minister. As Mrs. May struggled to contain a rebellion from Conservative Brexiteers, Mr. Trump added to her woes by warning that keeping Britain in parts of the single market would jeopardize closer trade ties with his country. Foreign Office Minister Alan Duncan sought to talk down the differences, insisting that the president’s visit was “most definitely” a success so far while rejecting his warning that May’s Brexit plan to keep close ties with the EU would torpedo a U.S. trade deal. Mr. Trump made the bombshell intervention during a world exclusive interview with The Sun — the only British media outlet he spoke to before his arrival in the UK for his first visit as President. Today Theresa May revealed what Donald Trump told her and what was he reaction! Theresa May today revealed that Donald Trump told her she should sue the EU in order to deliver Brexit. The Prime Minister revealed the explosive private advice the US President gave her as they held private talks. But she laughed off the proposals and said that instead she has engaged the EU with negotiations and come up with a Chequers deal which delivers on Brexit. 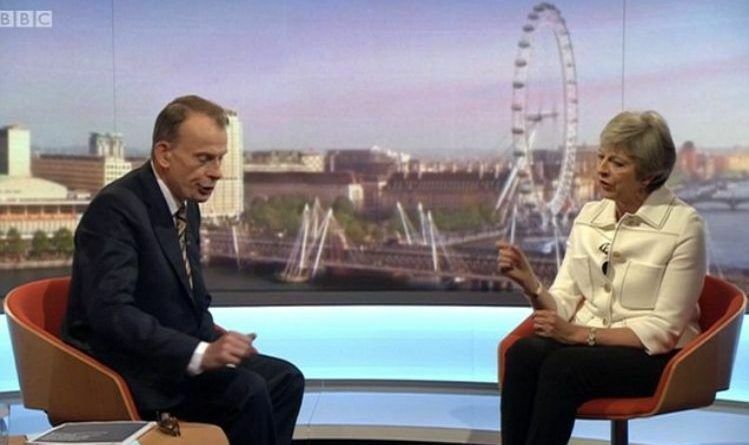 Appearing on the BBC’s Andrew Marr show today, she was quizzed on what the private advice was which the President had dished out. But the Prime Minister did not say how or on what grounds the US President thinks she can sue the Brussels club.